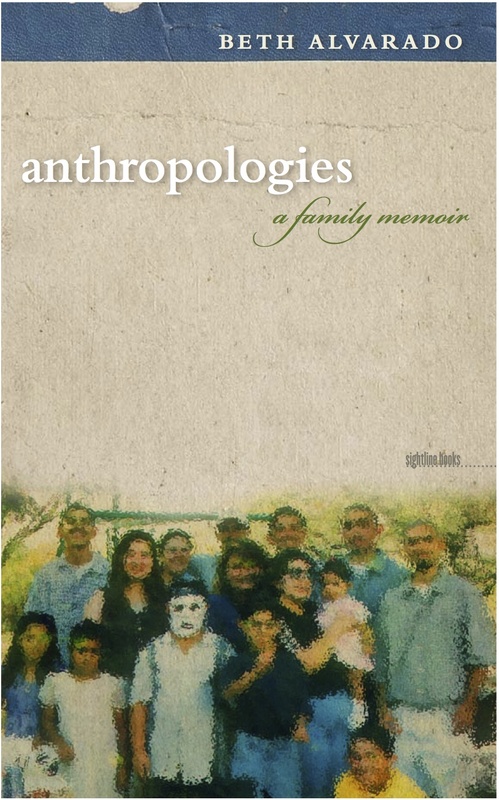 Beth Alvarado is the author of Anthropologies: A Family Memoir (University of Iowa Press, 2011) and the story collection Not a Matter of Love (New Rivers Press, 2006). A recent essay, “Days of the Dead” was published in Sonora Review, and a new story, “The Astonished Dead,” has just appeared in Western Humanities Review. Not everything is about the dead, but everything is set in the beautiful Sonoran desert. 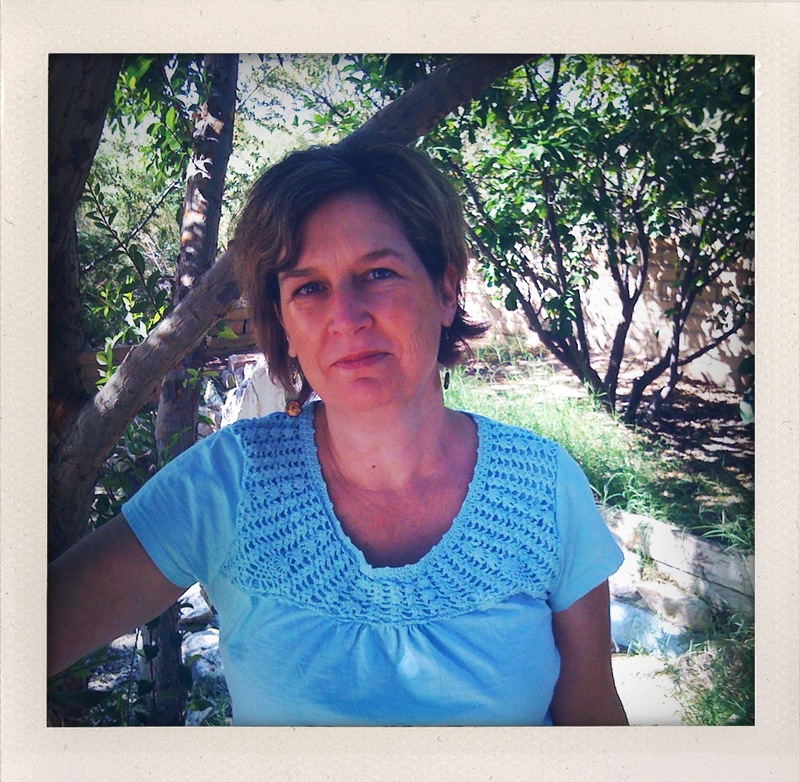 Beth teaches at the University of Arizona and is the fiction editor for Cutthroat: A Journal of the Arts. Recently, Megan Kimble from Sonora Review asked Beth a few questions about her process and narrative in nonfiction. Also, check back tomorrow for a review of Alvarado’s book, Anthropologies. Megan Kimble: Why this book, now? What was the process of beginning? Beth Alvarado: In 2003, my mother was very sick, and I was taking care of her. She was telling me a lot of the stories that she never told us when we were younger. So, I started typing them into a laptop. And, around that time, I was working with a group of graduate students for the writing program, and we went over to Jeremy Fry’s house for a potluck. He lived in a house on the west side of town, and it turned out he lived in the house that one of my husband’s cousins had lived in, probably 25 years earlier. I walked into that house and it felt so odd. It was a sense of being in this place where all these other people had been, and now these new people were there. It was layers of time in one moment, and it was how I had been feeling with my mother, as she experienced all these different layers of time, [these past moments] as present to her as the now. Her memories were as vivid as anything that was happening now. [In Jeremy’s house] I felt, this must be what it’s like to be really old, to have all these times coexisting in my mind. So I started to write these moments that had as many layers of time in them as I could put. I didn’t know it was going to be a book for quite awhile. MK: How did you approach creating a narrative out of these moments? BA: That was the hardest thing. It was really easy to write those little moments. Then when I had a bunch of them, I thought, how could I compel a reader to keep reading without a narrative? I probably went through seven drafts, arranging and rearranging them until I thought to myself that there was a kind of narrative arc. That was the really hard part about the book—the arrangement. When I started to link things together with reflection or exposition, the prose didn’t have as much life as when I kept to these small, formal moments. MK: Memory not only provides much of the content of the book, it is also itself examined. How did you approach your own memories when writing? BA: I tried to think of writing as an act. What I wanted to do in the book was enact memory. Not just repeat, not just package these memories. What I was trying to capture was the process of remembering. It was more important to me to be faithful to the act of remembering, and how it felt to remember, than it was to get the memory accurate. There’s so much present tense in the book, because when you go back and you’re in a memory, it’s the memory that’s present, not the time. MK: In anthropologies, many other peoples’ stories become your own. What was your interaction with the holders of these stories—your daughter Kathryn, for example, or your husband Fernando—as you wrote? BA: The book is all my memory of their stories and memories. There’s a way in which I spend so much time observing people and listening to them that their memories or their stories are things that I already knew. Anna Deveare Smith, who is a playwright who collects oral histories and then performs them, has written that “inhabiting” another person’s language, their dialog or the stories they tell, is the closest you can come to understanding them and so I think there was some of that spirit in what I was trying to do. I was really trying to inhabit other people’s memories and stories, to be as close to them as I could. It was a way of coming to understand them. MK: You straddle two worlds in anthropologies—the English-speaking, Anglo world of your parents, and the Spanish-speaking world of your husband’s Mexican-American family. What were the particular challenges, for you and in your consideration of the reader, in bringing these two worlds together into a single narrative? BA: I’ve thought about it a lot, because I’ve been married to my husband for 30 years. One thing that I’ve realized is that you’re always a kind of traveler or outsider in another culture, no matter how long you’ve been married to someone, or how much you love his family. We grew up in such different worlds… and you really don’t know what it’s like to grow up [there]. I wanted the narrative be a kind of bridge between things. I wanted to show that [these worlds] can maintain their own autonomy or individuality but still really have this kind of synergy, or co-exist, and that they aren’t really so different in the really important ways. Megan Kimble is noticeably more cheerful since she stopped commuting on the freeways of Los Angeles and started biking around Tucson. She runs, hikes, and loves breakfast and chocolate chip cookies.